We abide by federal and state laws and regulations and we take additional steps to protect the personal and financial information you share with us when you are using our system. The steps we take are reasonable and consistent with industry practice to assure such compliance. However, please be aware that no security measures are perfect or impenetrable. A. If you have an unresolved privacy or data use concern that we have not addressed satisfactorily, please contact our U.S.-based third party dispute resolution provider (free of charge) at https://feedback-form.truste.com/watchdog/request. B. SSL - RFS uses secure socket layer (SSL) encryption of data to protect the security of information you submit to us when you use our online tax filing services. SSL Certificates provides you with a technological "lock and key" system to help assure that only you can obtain access to your account and information. A. Our employees are trained to safeguard your private information. B. Customer data is encrypted so that only authorized employees are permitted to view your data. C. RFS employees are given access to your data only on a "need to know" basis and all employees have signed written employment agreements requiring them to maintain the confidentiality of RFS and customer data. E. RFS facilities are secured by various protective devices and systems. A. Remember, e-mail you send us is not necessarily secure against interception. If your e-mail communication includes sensitive information like your Social Security number, bank account number, or debit, credit or charge card numbers, you may want to consider contacting us through one of our secure online forms, or by mail, or telephone. If you contact us by e-mail, you assume the risk of interception. B. If you wish to send us secure online communication, please click here. C. You agree that you will provide information about yourself that is accurate, current and complete. Information that is not accurate may not be subject to privacy protection. D. You have the responsibility to protect your personal information, particularly in the context of use of the Websites, to protect your user ID, password and any other confidential access codes. RFS does not have responsibility for your actions in failing to protect your user ID, password or any other confidential access codes. In the event you think your user ID, password or any other confidential access codes has been disclosed to others, please notify the websites at contact@rapidtax.com. E. You must maintain the confidentiality of what you submit to us, for example, you must sign out properly so that no one else may gain access to your account. Make sure you click on the "sign out" button. You must notify us of any theft of your personal data as soon as you become aware that there might have been a loss (within 2 days). F. RFS has no liability for problems created by your actions as described in this clause (RFS' liability is covered more extensively in its Terms and Conditions). The security of your personal information is important to us. We follow generally accepted standards to protect the personal information submitted to us, both during transmission and once it is received. If you have any questions about the security of your personal information, you can contact us at contact@rapidtax.com. • How and what do we collect? A. We may collect information about your visit to our Websites, including the pages you view, the links you click, and other actions you may take on our Websites. We also collect the standard information that your browser sends to every website you visit such as your IP address, browser type and language, access times and referring website addresses. B. We also collect information about our visitors’ age, gender, and general interests principally by way of Google Analytics Demographics and Interest Reporting. This data is used solely for internal marketing purposes and is never shared with any third party. The information gathered enables us to improve our services through better targeting of the specific needs of our core audiences. As a visitor to our site, you can choose not to share this data by opting-out of Google Analytics. You may do so by installing the Google Analytics opt-out Browser add-on. C. If you wish to use certain of the services available at the Websites you may be asked to sign in by providing an e-mail address and creating a password; and on some pages you may be asked to provide additional information such as name, home and/or business address and/or telephone or cell telephone number; and further asked to provide your age, gender, preferences, interests, and personal financial information; and if you make a purchase, we may ask for your credit card number and expiration date, billing address and two forms of secure ID. D. As is true of most websites, we gather certain information automatically. This information may include Internet protocol (IP) addresses, browser type, Internet service provider (ISP), referring/exit pages, the files viewed on our site (e.g., HTML pages, graphics, etc. ), operating system, date/time stamp, and/or clickstream data to analyze trends in the aggregate and administer the site. • How do we use the information we collect? A. If you receive e-mail from us such as newsletters or other mailings, we may use "Web beacons" (these are small pieces of data embedded on the pages of websites), customized links or similar technologies to determine whether the e-mail we sent has been opened and which links you click. We may combine the information we collect about you from one Website or service with others, including information from other companies. All of this is done to better design our services for your benefit, and to afford you a more efficient, consistent and personalized experience in your interactions with our Websites. For example, we may do this to find out your general geographic area so that we may customize our offerings and services for you. If you DO NOT wish to receive marketing emails, you may opt out by using the following link: Click Here to Opt Out. C. We will retain your information for as long as your account is active or as needed to provide you services. 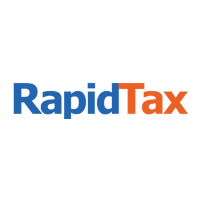 If you wish to cancel your account or request that we no longer use your information to provide you services contact us at contact@rapidtax.com. We will retain and use your information as necessary to comply with our legal obligations, resolve disputes, and enforce our agreements. Testimonials - With your consent we may post your testimonial along with your name. If you wish to update or delete your testimonial, you can contact us directly. • Do We Share the Data You Provide Us With, and if Yes, With Whom Do We Share? A. Of course, we will use your personal information to: a) provide you with our services and products; b) to respond to your questions about our services and products; and c) to offer you other services and products that we believe may be of interest to you. B. Disclosures may be made in connection with legal proceedings or government investigations as described below in Disclosures Required By Law. C. Disclosures may be made if the business is sold as described below in Mergers or Acquisitions. A. Prior to submission of your tax return, you may change your personal account information at any time to correct inaccuracies by signing into your account. B. After the submission of your tax return, you may change your personal account information by calling us at 877-289-7580 or through our secure message system. C. Changes to minor information (for example your address or phone number) you supplied on your tax return may be made by calling the IRS directly at 800-829-1040. Changes that affect your tax liability may only be made by filing an amended return. If you need to file an amended return, please call us at 877-289-7580. D. Upon request RFS will provide you with information about whether we hold any of your personal information. If your personally identifiable information changes, or if you no longer desire our service, you may correct, update, amend, delete/remove or deactivate it by making the change on our member information page [or by emailing our Customer Support at contact@rapidtax.com or by contacting us by telephone or postal mail at the contact information listed under “Contact for Questions or Complaints and to give Notice”. We will respond to your request within a reasonable timeframe. A. RFS may sell all or part of its business, including personal information about you. In such a case we will notify you by e-mail to the last current e-mail address that our records indicate for you and by posting a notice on the appropriate Websites at least 30 days prior to the transfer of the data. You will also be notified of any choices you may have regarding your personal information.